Seollal, Korean Lunar New Year, is a celebration which marks the first day of the Lunar Calendar.. This day is one of Korea’s most important national holidays of the year, and this year’s Seollal falls on January 31st, 2014. Families and friends get together to wish loved ones a happy and prosperous new year. It is truly a special occasion greatly celebrated among Koreans. 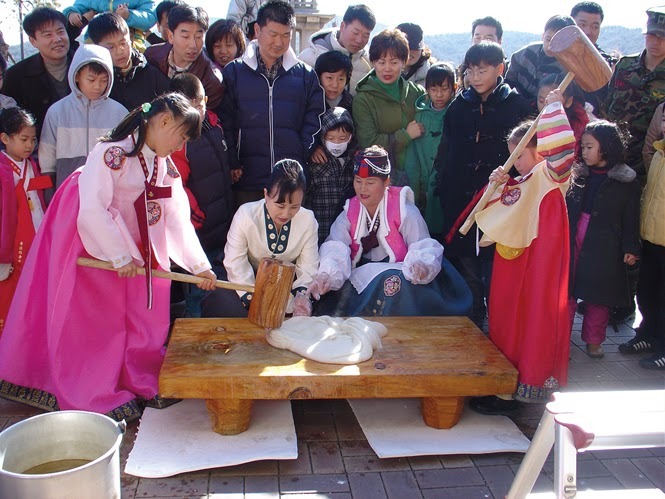 Seollal is an opportunity for families to get together and enjoy each other’s company by paying respect to ancestors, playing folk games, eating delicious traditional foods, and dressing up in hanboks (traditional clothes). Charye is the first ceremony that takes place on Seollal. It consists of preparing the ceremonial table with extravagant food and fruits to honor the family’s ancestors. 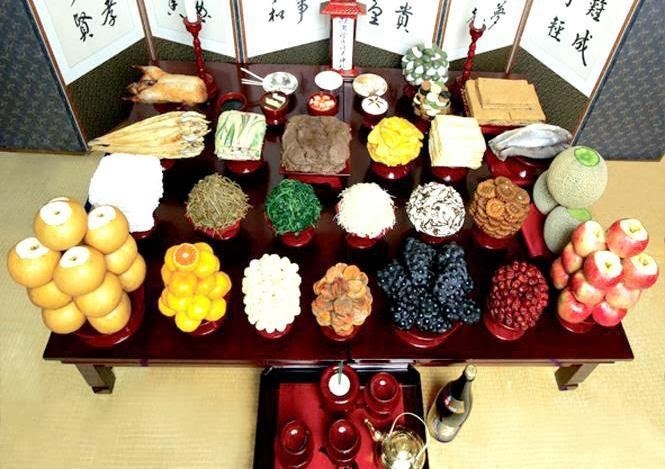 Families and relatives take turns bowing to the ritual foods to pay their respect to their deceased ancestors and well-being for the new year. This is followed by the Sebae which is the ritual of the younger generation expressing respect to their elders by taking a deep bow and presenting them with gifts. 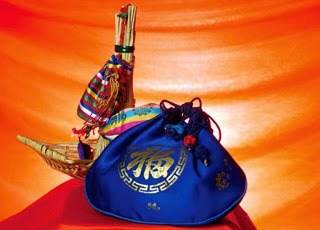 The elders offer their blessings and good luck by giving each person “sebae money” as a small gift. The young always look forward to getting this extra money during Seollal. Once the rituals are finished, it is time to eat the food! 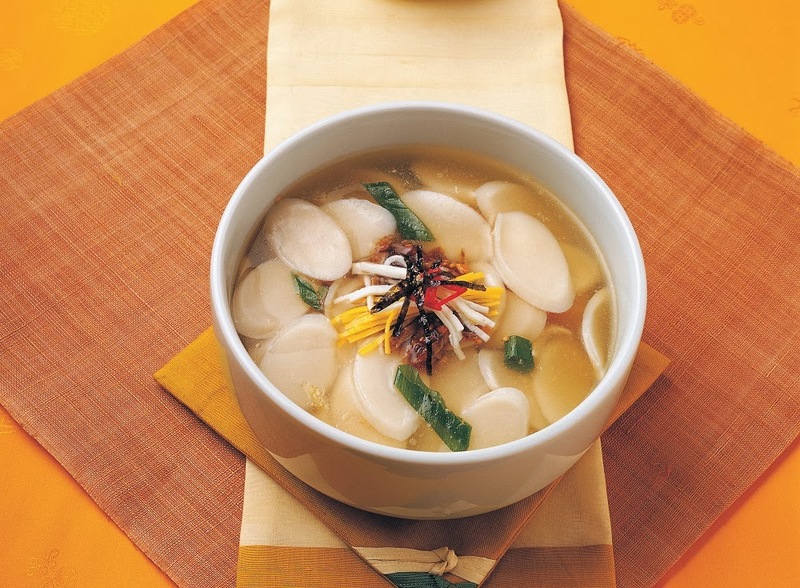 The main dish of Seollal is tteokguk, a traditional rice cake soup consisting of beef, eggs, and vegetables. It is traditional saying in Korea that one must eat tteokguk on Seollal to add a year to one’s age. After the meal, families engage in a more casual time which includes fun activities or relaxing after the hearty feast. The most common activity played on Seollal is yutnori, a traditional board game that involves throwing four wooden sticks. Some families visit historical sites such as Gyeongbokgunk and Namsangol Hanok Village that host traditional Korean events for Seollal. Whatever you do, Seollal is a great and cultural celebration that has important meaning in Korea.